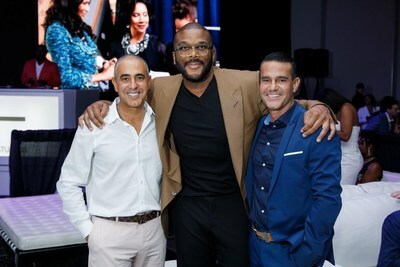 ATLANTA, Jan. 16, 2018 — Ozzie Areu, former president of Tyler Perry Studios, announced today that he and his brother Will have formed Areu Bros., and the company will be purchasing the former Delta Airlines campus in Greenbriar, Tyler Perry's former studio space in Southwest Atlanta. Areu Bros. is building a multi-faceted media campus encompassing music, tech, motion pictures and television operations. While Ozzie launches the venture, Will is staying on at TPS as the President of Production. Ozzie and Will Areu are first generation Cuban-Americans. They will be the first Latinos to run and own a major film and television studio in the United States. A renowned leader in the Latin American community, Ozzie has received various awards, such as the Hispanicize 2016 Latinovator Award and the CEO Executive Excellence in Entertainment Award by the Georgia Hispanic Chamber of Commerce. Ozzie spent the past decade with Tyler Perry, helping to build Tyler Perry Studios' content and studio businesses. During that time, the Areu brothers have overseen the production of 900 episodes across nine television series, fifteen feature films and several plays. Ozzie is grateful for the time he spent learning and honing his skills under the leadership of Tyler Perry, a pioneer and visionary in media entertainment. “I look forward to following in the steps of Tyler, my mentor, by owning a studio that also creates content and I'm especially inspired to build a 360° world that supports minority storytellers, creators and innovators,” said Ozzie Areu. In Ozzie's role at TPS, he helped oversee the vision “A Place Where Even Dreams Believe,” intertwining worlds through storytelling and family friendly entertainment. His productions have received many awards such as numerous NAACP Image Awards, including three for FOR COLORED GIRLS: Outstanding Supporting Actress in a Motion Picture for Kimberly Elise, Outstanding Directing for a Motion Picture/Television Movie for Tyler Perry, and Outstanding Motion Picture. The film also won top honors at the 2011 BET Awards for Best Picture. 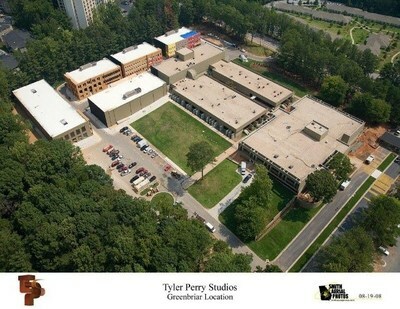 Previously the world headquarters for Delta Airlines, the lot in the Greenbriar area of Southwest Atlanta was the home for TPS from 2007 to 2016. It sits on 60 acres and includes five sound stages, four office buildings (126,000 square feet) with executive offices, post production facilities, a theater, a commissary and fitness center. The studio also has a back lot consisting of a suburban neighborhood with eleven homes and a city street.